Home › Energy-Efficient LED Lighting › Hyperikon Street Lighting Led 125-Watt (750-1000 Watt Replacement) Large Mogu..
Save 80% in electricity consumption compared with conventional street lights, high pressure sodiums and metal hallides. Universal application. Replaces any current HPS' or HIDs and fits with any standard large mogul (E39) screw base. Ballast must be removed. 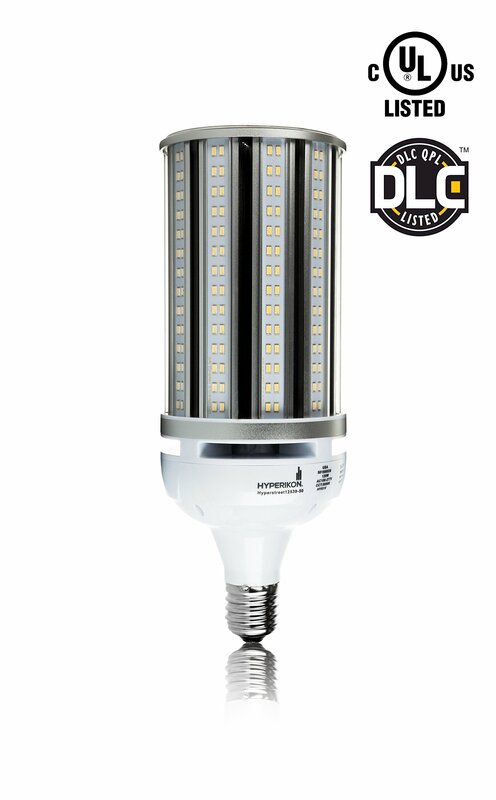 120W LED replaces 1200W traditional street lighting with up to 12,000 lumens. Hyperikon market leading diode development provides 135lm/w. Style: 125W Enhance your outdoor or indoor environment with the brand new Hyperikon highlumen street lamp. Hyperikon has strived to engineer an energy-efficient yetsimple and beautiful light - the result is the street light series providing awide range of both wattages and colors. The street lights are available withboth large screw base (E39) as well as medium screw base (E26). The lights canreplace any 150W-400W high intensity discharge (HDS) or low pressure sodium(LPS) luminaires. With 50,000+ rated hours of lifetime, the bulb will last 23years with 4 hours of usage per day. Commercial and industrial grade -constructed with heavy-duty corrosion resistance die-cast. Please note thatthe existing ballast must be disconnected or bypassed prior to installing our80W and 125W LED street light.